Author: Erdrich, Louise Set In . . .
For more than three decades, bestselling author Louise Erdrich has enthralled readers with dazzling novels that paint an evocative portrait of Native American life. From her dazzling first novel, Love Medicine, to the National Book Award-winning The Round House, Erdrich’s lyrical skill and emotional assurance have earned her a place alongside William Faulkner and Willa Cather as an author deeply rooted in the American landscape. In Books and Islands in Ojibwe Country, Erdrich takes us on an illuminating tour through the terrain her ancestors have inhabited for centuries: the lakes and islands of southern Ontario. Summoning to life the Ojibwe's sacred spirits and songs, their language and sorrows, she considers the many ways in which her tribe—whose name derives from the word ozhibii'ige, "to write"—have influenced her. Her journey links ancient stone paintings with a magical island where a bookish recluse built an extraordinary library, and she reveals how both have transformed her. 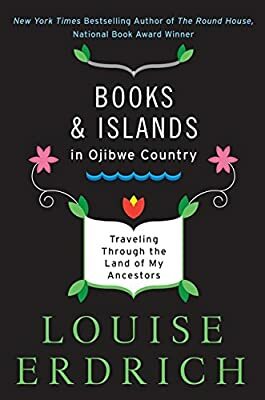 A blend of history, mythology, and memoir, Books and Islands in Ojibwe Country is an enchanting meditation on modern life, natural splendor, and the ancient spirituality and creativity of Erdrich's native homeland—a long, elemental tradition of storytelling that is in her blood.